It doesn't matter the size of the job; from a small "one man office" to complex projects, we commit to meeting the customer's needs. Our highly trained and experienced staff guarantees results to any problem. We provide one-on-one consultation at no charge and have the answers to your telecom needs. We promise quick turn-around's on any emergency job or service issue. Customized product solutions and "hot cu-overs" are some of our specialties. For over 20 years, we have specialized in becoming market leaders at installing and maintaining Telephone and Voicemail Systems. Our founder, Christopher J. 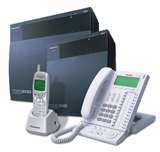 Van Aarde, has been working with phone systems since the early 80's in South Africa. Having worked as an engineer with Siemens for several years, he launched out on his own in 1994. "It's not the size of the project," he says, "it's your approach towards it." The peace of mind in knowing that your system is in good hands is important in this highly competitive industry. Every contract includes a pay for performance clause. This ensures that you, the customer, have the right to expect completion of the job within a designated timeframe allowing you the luxury of time management. This is our promise to you; completed projects on time, every time, giving you total satisfaction guaranteed! Good Hope Telecom is a full service data and telecommunications firm. 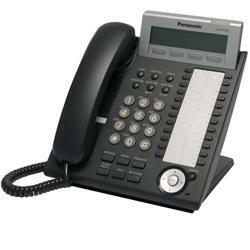 We provide a wide range of high quality products and services in the telecom industry. With a high drive of honesty and integrity, we distinguish ourselves from our competition by providing complete customer satisfaction. We are highly dedicated to service excellence. We believe in doing a job right the first time. Not only are we flexible and reliable, but we would go that extra mile to make the customer happy!